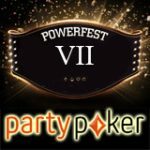 The Powerfest Power Play promotion on Party Poker let's players earn tournament tickets to the 2017 Powerfest series. Earn the required amount of points playing Blackjack on Party Poker Casino or by placing bets on Party Poker Sports to get your ticket to the poker tournament series. 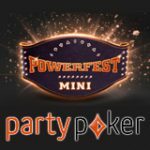 Use your ticket to buy-in to the 2017 Powerfest series which features over $35 million in guaranteed prize pools with 330 events n the schedule. 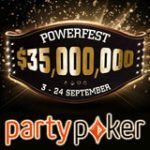 Get tickets to the biggest online poker series on PartyPoker in the Powerfest Power Play promotion which runs from 3-24th September2017. To be eligible for the promotion players are required to earn points playing Blackjack or make a sport bet of the required amount. 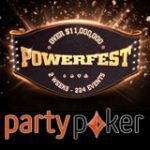 Earn at least 40 points playing on Party Poker Casino Blackjack and get a $5.50 tournament ticket to the 2017 Powerfest series. 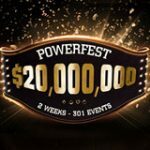 Players are required to earn the amount of Blackjack points within a week to get a Powerfest ticket of the corresponding value up to $109 for 700 points. Players must opt-in for the promotion through the lobby, earn a maximum of one Powerfest ticket per week playing Blackjack games or live dealer blackjack. 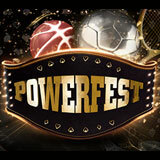 Place bets of the required stake amounts and betting odds to get a ticket valued up to $109 for the Powerfest series. 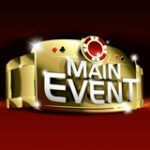 Players must opt-in for the promotion through the lobby, earn a maximum of one Powerfest ticket per week betting the requirements on PartyPoker sports.